Ironbark’s Bill of Materials software is utilised by manufacturers to ensure total, detailed control and analysis. 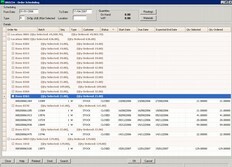 Ironbark Bill of Materials is integrated with Ironbark Job Costing, Estimating, Sales Orders, Forecasting and Stock Control modules. 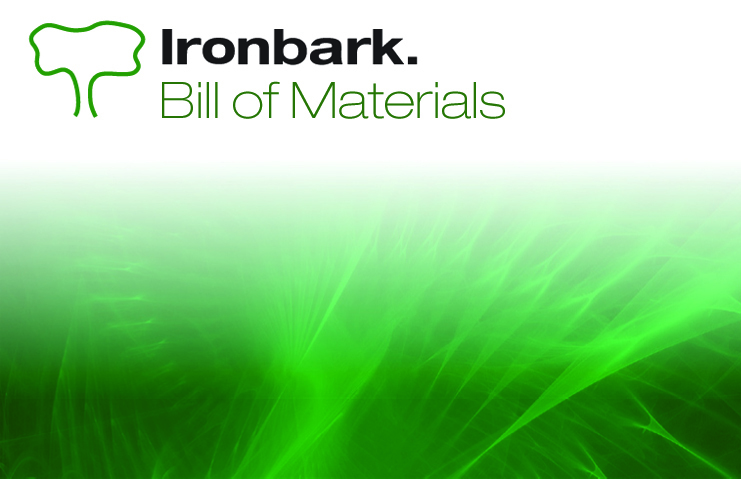 Ironbark Bill of Materials allows for up to 20 levels of assembly with unlimited components per assembly. It also immediately reflects any changes in costs in all assemblies as stock is received and average costs vary. The user can choose between average, last or standard cost for BOM costing. Bill of Materials integrates with Forecasting, Estimating and Sales Orders for production planning, material requirements, and finished goods entry for each component. For each component of an assembly, the quantity and waste factor are entered. The Sales Orders module, Material Requirements, Finished Goods and Repack Entry use the Bill of Materials to update component stock and explode assemblies down to component level. Routings are attached to Bill of Materials for labour and machine scheduling. In Ironbark Bill of Materials, the assembly is referred to as the ‘parent’ and components of the assembly or sub-assemblies as the ‘child’ item. The maintenance program allows for the convenient addition, deletion or change to any component or assembly. 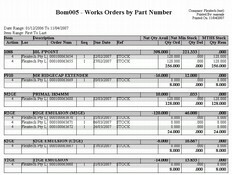 Functions to print a Materials Requirements report or Works Orders by Part Number report are provided for. Ironbark Bill of Materials supplies the infrastructure and support required for the efficient management of a product in terms of its assemblies, subassemblies and basic parts. Bill of Materials is hierarchical; providing for each level of the hierarchy with the appropriate levels of activities required for an element associated with that level, added. Download the Bill of Materials software overview now!